Mini PCs such ASUS Eee Desktop or Acer Aspire are good to use them as HTPC. They are compact, quiet and good looking. But they have a big disadvantage. It isn’t possible to install DVB-S card there to watch satellite TV. DVBWorld HD Box can solve that problem. Connected via USB port it supports DVB-S and modern DVB-S2. So, you’ll able to watch HD satellite channels. Additionally the box includes a PVR software which allows to schedule recording, record and play recorded TV shows as well as broadcast MPEG video to home network. 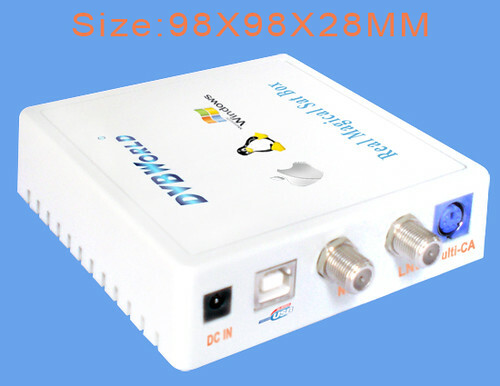 DVBWorld HD Box has drivers for MS Windows, Mac OS X and Linux. 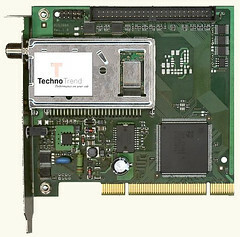 Started thinking about DVB-S(2) card for the new LinuxMCE hybrid core. After visit to the DVBShop I found two variants which seem suit for me – Technotrend Budget S2-3200 HDTV-S2 and S-1500. The last one is 100% working solution for Linux and LinuxMCE with VDR 1.6.0. But DVB-S becomes the history and now DVB-S2 seems more perspective. Especially for the coming HDTV. So, S2-3200 in that case will be better solution then S-1500. But from other point of view it’ll need more work to bring it up under VDR 1.6.0 and Kubuntu 7.10.